For fun, these are my top-eleven best books on writing, storytelling, memoir and creativity. As a writer pushing myself to improve, I always have a guidebook on my Kindle or Audible queue. This list includes the works that have inspired and stuck with me. Some have given me methods that are on my writing desk right this very minute. I want to read every one of these books again (and I have). I cannot say enough how much I love Stephen King’s On Writing. I had never actually read a Stephen King book before picking this up because horror isn’t my cup of tea. This guide, however, is a witty and practical masterpiece. 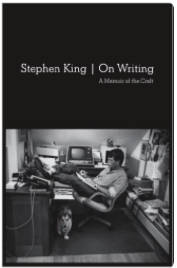 The first half is King’s personal memoir on becoming a writer, and the second half shares his lessons in the craft. I come back and read it again every two or three years and I am due again for it, actually. As a note, I first learned about this book from a friend in my very first writing group. She teaches college creative writing and uses this as a guide in her courses. Every time I read this book, I have a burst of creativity. Link. This trilogy is written for screenwriters but the principles are universal to storytelling. Without an MFA in writing, these have become my textbooks. That is why each one gets a own spot on this list. 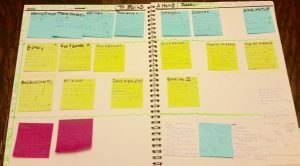 Mr. Snyder’s method for plotting out a story on “The Board” gives me a reality check for whether my writing has a strong spine and hits the right emotional notes. He also outlines universal story types, tells what kind of story you have, and illustrates how successful movies hit certain beats. 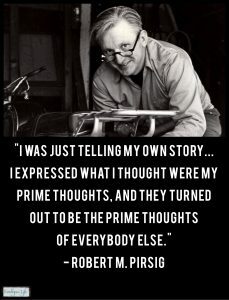 There are creative people who will rebel against anything in the realm of a formula but in my biography writing, I always find that the key elements are naturally there in true tales. Great stories mirror life, and truth is even better than fiction. It is my job in a memoir to highlight the key notes and edit out what’s boring. These books are pithy and full of worldly wisdom. In short, they are a guide for giving readers, “the same, only different.” Humans crave certain elements in a story, but with a fresh creative twist. I also feel like when an early explorer painstakingly charts a map, it saves me from aimless wandering. Also, I find that structure actually enhances and triggers my creativity, triggering ideas rather than limiting me. For the ultimate in tight structure, I am reminded of haiku. How formulaic is that? If you haven’t noticed, I totally believe in magic. This luminous book is empowering and grounding at the same time. 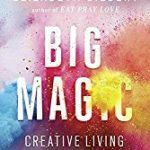 Gilbert urges everyone to live an art-filled life, without feeling like we need to quit our day jobs (Disclaimer, I totally did that.) She believes that nobody is too old or too young to create, and cautions against going into debt for a degree in art. The focus here is on exuberant creativity, free from tortured-artist stereotypes. Suffering for the art is seriously not productive, folks. I believe in her notion that ideas have an energy of their own, approaching humans as co-creators in the process. We get to choose whether to engage in this creativity with the ideas, but we don’t get to set the terms. Ms. Gilbert lives these beliefs, is a worldwide bestselling phenomenon (Eat, Pray, Love), and basically, I want to live as brave a life as she does. Even with my modest abilities, this book makes me feel joyful about writing. Link. This book was fab on audio, narrated by the author who comes from the world of stand-up comedy, and is a storytelling Grand Slam winner. Now she teaches storytelling and would I love to take one of her classes. The mantra she repeats is simple, “tell your story,” then she shows us how to do it better. Reading the book is a close second, though. It’s fun, insightful, and I am taking pointers to heart. Leitman is a master who started with a storytelling show before that was a thing. I bow to her greatness. Link. Not only would I like to give a shout-out to Mr. Hansen’s AP English class, this is a nod to what I think is one of the all-time great books of the 20th Century. I know, that’s a heady pronouncement given that I don’t exactly write for the New Yorker, but hey, this is my list. Still, after making this claim, I searched, and it does make top lists, like this one from NPR. On a personal level, this book was formative for me in high school, and was just as thought-provoking when I read it again recently. It is both beautiful and smart (really, really smart) but not pretentious. At its heart, this book asks the question, “What is quality?” Zen and the Art of Motorcycle Maintenance is one part memoir of a motorcycle trip across the country, but like all road trip tales, the destination is really to find oneself. This is also a course in philosophy and in final part, is a shining example of quality itself. The motorcycle maintenance stuff is fun too. I would have ranked this book higher on this list on grounds of how much I admire it, but it doesn’t focus on the nitty gritty of writing, per se. The other guides on this list cover that, and this is a class of its own. Still, it is very much about creativity and the process of making something meaningful. Link. Bonnie Hearn Hill edited my first book and she had a real influence on my writing career. When her book on writing fiction came out I couldn’t wait to dig in, and felt well-rewarded for my time. She and her writing partner offer pro-tips that maybe I had heard before but needed reminding, and some were new. One takeaway I try to keep in mind–especially when I edit a book–is that that conflict and tension keep a reader turning pages. This is a foundational idea, but an important insight for me to remember. Bonnie Hearn Hill brings decades of experience as a newspaper editor, author and creative writing teacher. She is also a great cheerleader. This is a quick read and worth taking a look. Link. While not specifically on writing, this book has an important takeaway for anybody wanting to become great at something: Put in the time. To be precise, know that it takes 10,000 hours to become really good at anything. Passion and natural inclination help too, but this important idea motivates me to keep paying my dues. It offers other insights about what some of the world’s greatest success stories have in common (e.g., Bill Gates, The Beatles) in Gladwell’s trademark style of research wrapped in memorable anecdotes. For me, though, the 10,000 hour challenge was what I took to heart. Each day I plod away to earn my place at the table. Link. Ms. Lamott is a beautiful writer and this makes want to work harder, yet also leaves me with a sinking fear that I’ll never in a million years be as good as she is. That happens whenever I read great writing. 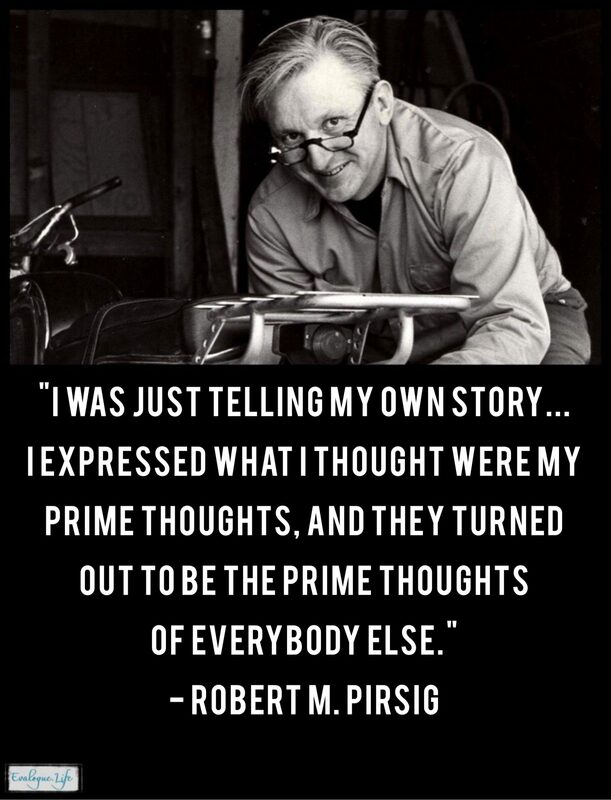 (People I know who live in the realm of creativity battle some version of this self-doubt.) Lamont is a bestselling memoir author and she tells stories from her own life and her personal rules for writing memoir. One example: Tell the Truth. That sounds obvious, but she discusses some of the nuances of what that means when writing about a person’s life. The book is a how-to guide, peppered with personal vignettes. Link. This is #11 on the list not because it doesn’t deserve to be a #1 or a #2, but because only it is a new addition and I am too lazy to re-number. 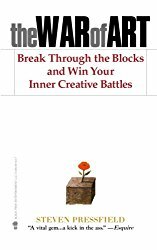 I have now read this book several times, coming back to it every time I need a boost to overcome Resistance with a capital R. Pressfield, who also wrote The Legend of Bagger Vance, has figured out what keeps creatives from winning the battle, and how to overcome it. The book is genius and I love him for helping me in very real and practical ways. The audio version is also wonderful and I listened to it back-to-back twice in one weekend the first time I got it. Truly, I believe every writer should read this book quick fast and now. Link. By Rhonda Lauritzen, founder of Evalogue.Life and author of memoir Every Essential Element.